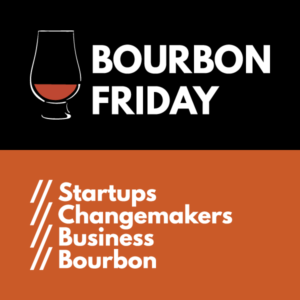 On this episode of the Bourbon Friday Show we had the opportunity to talk with Lisa Hu, Founder and Designer of Lux & Nyx, about her brand launch and current Kickstarter campaign. Lux & Nyx comes from the Greek words meaning Light and Night. This could represent a transition period, from day to night. Or, in this case, a thoughtfully crafted artisan handbag that goes with you from the morning light into the dusk hours of the night. Or even a symbol of a transitionary period in life from, let’s say, corporate finance to the world of entrepreneurship and fashion. Lisa Hu, founder of Lux & Nyx, left the world of corporate finance to pursue a longstanding passion for design and fashion a little over a year ago. Today, she currently has two new lines of socially conscious, luxury bags with incredible functionality to suit the on-the-go lifestyle of modern women. While all of these bags are ecologically and socially conscious, Lux & Nyx also prides themselves on being a “total social impact company,” says Hu. They’ve partnered up with the organization Love to Langa a registered 501(c) charity, to build a school in South Africa. A part of all proceeds goes towards this mission, so not only can you get an exceptional bag—you’ll also be supporting a great cause. 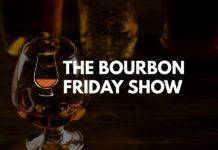 In every episode, the Bourbon Friday team do their best to choose a fitting drink for the occasion. This episodes’s bottle is Maker’s Mark 46, and it’s often sought out due to its innovative properties. Like all bourbon, it’s aged in New Oak barrels, but once that process is complete, this bourbon is finished in French Oak staves before bottling—which gives it a much bolder and complex flavor. It’s something we all look forward to each week and hope to see grow even more. Although the happy hour is currently reserved for T-Rex members and guests, if you’d like to attend sometime, please email Nick Niehaus at nick@connect-stl.com to be added to the invite list.